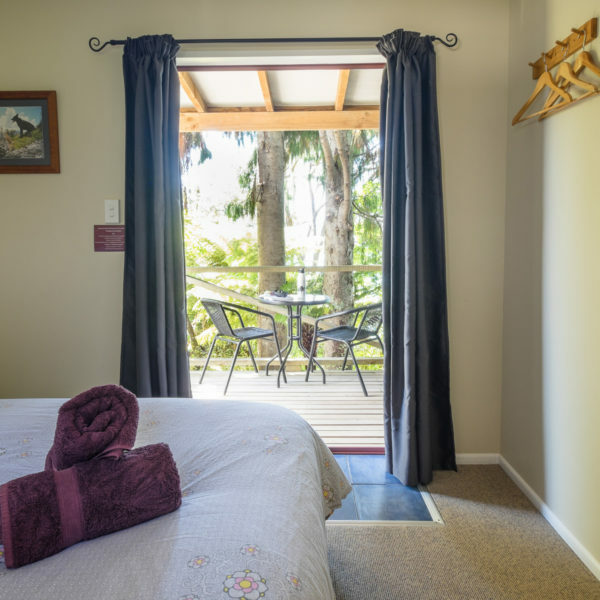 This perfect hideaway in remote Kenepuru Sound, Hopewell Lodge provides a variety of affordable, simple and efficient accommodations to suit families, the adventurous backpacker and those travelling on a budget. 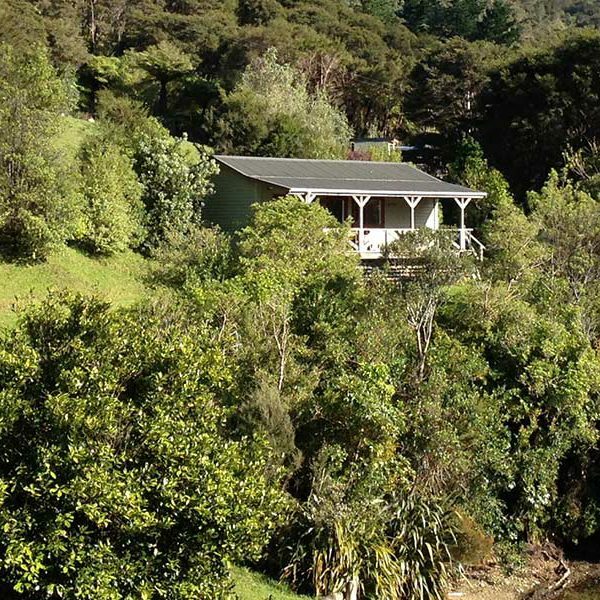 Our lovely Marlborough Sounds lodge is remote, but you won’t be roughing it when you stay with us. We have given much care and detail into assuring your stay is a comfortable, relaxing experience. There is nothing that hasn’t been thought of and you won’t want for anything. Hopewell is more than a lodge, it’s a home away from home! Our cheerful King Ensuite room has a large king size bed or two twin beds with a private bathroom with shower, basin and toilet. Guests have access to the common kitchen/lounge/dining area. It also features a large balcony with breathtaking sea views. 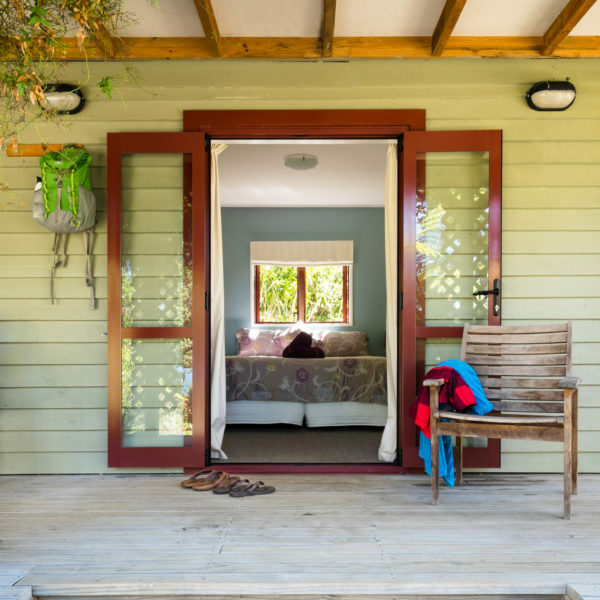 This bright and airy cottage has two bedrooms, one with a king size bed and the other with twin beds. There is a bathroom with shower, basin and toilet, a private fully equipped kitchen with full size oven and fridge/freezer, a dining table and couch. It also features a large balcony with fabulous sea views of the Marlborough Sound. 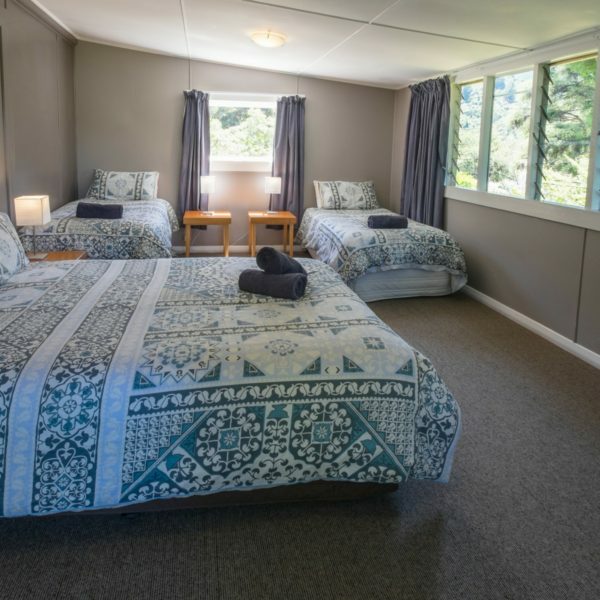 This spacious room close to the beach commands lovely views over the Marlborough Sounds. It has a king size bed and two single beds or four single beds, with shared self catering kitchen/dining/lounge area, and shared bathrooms. 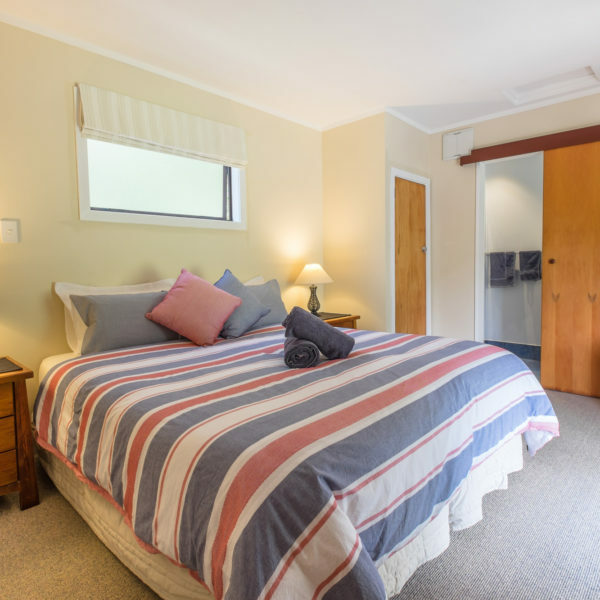 This fresh and cheerful room has a large king size bed or two twin beds with shared bathrooms and a shared self catering kitchen / lounge / dining area. You’ll have a comfortable sleep in this charming room that has a king size bed with shared bathrooms and shared self catering kitchen/lounge/dining area. It features a balcony with beautiful sea views through native bush. This room has four built-in bunk beds. This is a private room and can be booked as a twin room for $100 and can accommodate up to four people. 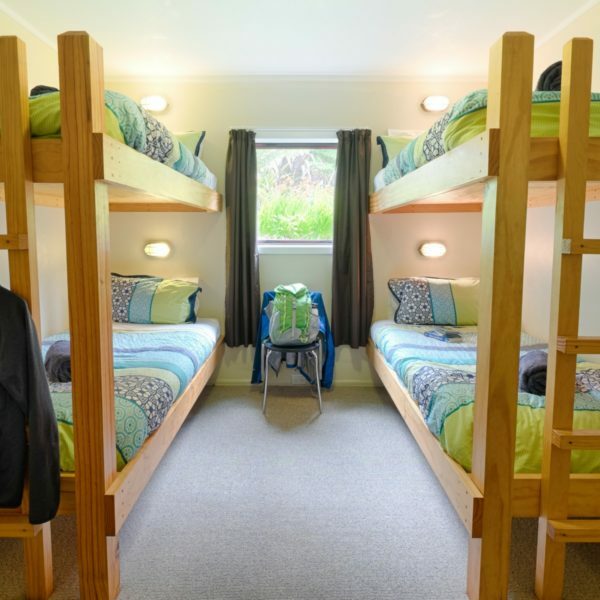 The bunks are built with wood, very stable and solid with fantastic mattresses and all linen is provided. Each bed has a private reading light. Guests have access to shared bathrooms and shared self catering kitchen/dining/lounge area. This room is adjoining a king suite and both rooms together make the perfect family suite, which is available on request.